Gerry’s motto is “Strategic Lawyering – Cultivating Innovation.” He helps clients implement their business strategy with the tools of intellectual property (patents, trademarks, copyrights, trade secrets). He also advises how to fulfill privacy and security obligations, including those that emerge with big data generated from the multitudes of sensors in smart fabrics and other elements of the Internet of Things (IoT). Gerry co-hosts a Meetup focused on this subject. With a background in chemistry and computers, Gerry was one of the first attorneys ever to work with online information technology, and he has long been an evangelist for cybersecurity. He has served in government Justice Departments at both state and federal levels. A licensed patent attorney, he has taught M.B.A. courses in intellectual property management via the University of Phoenix online campus. Gerry advises clients on a variety of intellectual property and business matters. These frequently include the preparation and prosecution of patents, the evaluation of adversely held patents, the registration of trademarks and proprietary names, the licensing of intellectual property rights, the resolution of disputes through mediation, arbitration, and if necessary, litigation, the conduct of intellectual property audits, and related technology law and trade regulation issues. Gerry is also available to serve as a neutral in mediation and arbitration proceedings involving intellectual property or technology law issues. Gerry holds a B.S. from the University of Chicago, and an M.S. in Chemistry from Stanford University, in addition to his J.D. from the Columbia University School of Law. He has also completed business management, foreign language and additional law courses at Temple University, where he subsequently developed and taught a course for lawyers in computer law. Gerry is profiled in various biographical references, including each edition of WHO’S WHO IN AMERICA since 1988. In 2017, Gerry was honored with an Albert Nelson Marquis Lifetime Achievement Award. He is also listed in Super Lawyers Pennsylvania for Intellectual Property law and in Best Lawyers (Business Edition) for Technology Law. 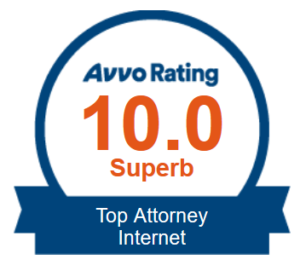 He has been designated AV® Preeminent™ Peer Review Rated, in the Martindale-Hubbell Law Directory accessible online at martindale.com, and he has a rating of 10.0/10 Superb on the Avvo.com website. 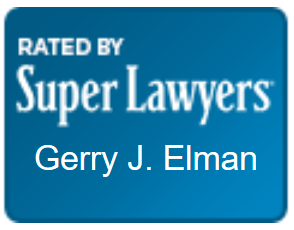 Click here for more information about Gerry Elman.